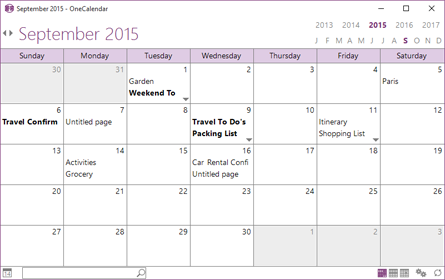 OneCalendar is a standalone tool that provides a calendar view for OneNote that displays the pages on the date you created or last modified them. You can download it as a separate tool and keep it on your desktop or pin it to your taskbar. 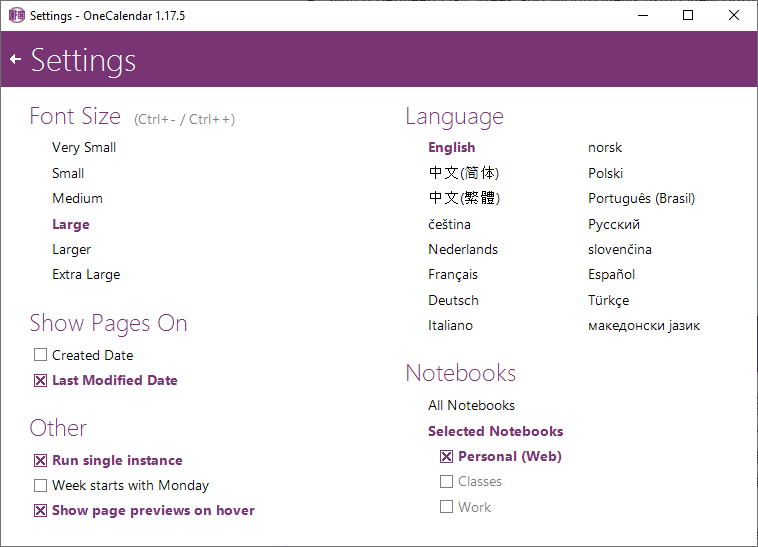 Alternatively, you can access it from within OneNote using the Onetastic add-in. Visit the download page to get it now. Quickly switch to a different month/year from the top right. Navigate to previous/next day, week or month using the arrow keys at top left. Hover over page titles to get a preview of the page. Search on the calendar view. 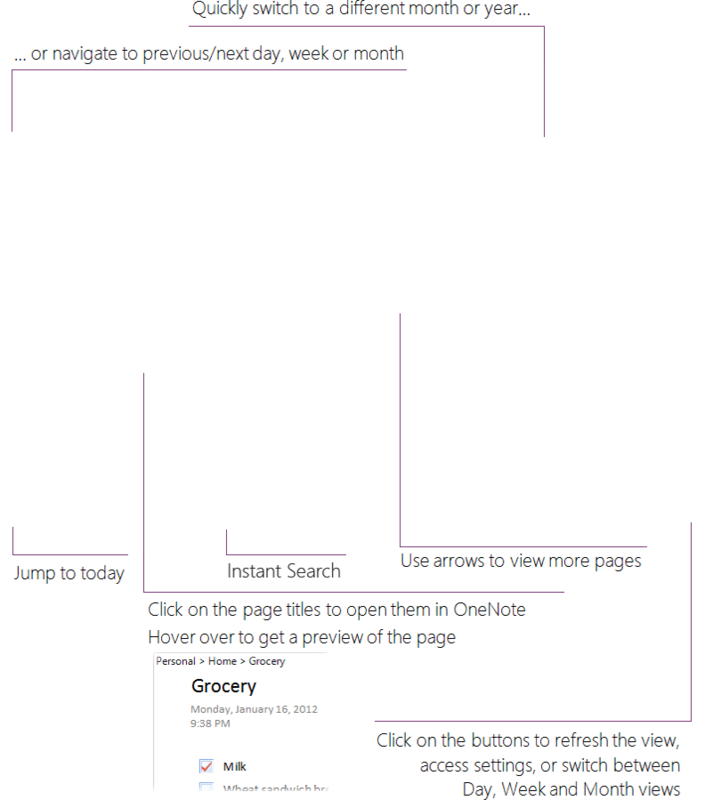 Click on the page titles to open them in OneNote. Switch between Day, Week and Month views using view buttons at the bottom right. Click on a day number to go to that day in day view. Jump to today with Today button at the bottom left. Hit F5 or use the Refresh button to refresh. Requires OneNote 2010 or above.